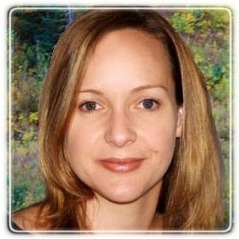 San Ramon Therapist: Kristina Schasker - Therapist 94583. Session Fees: Individual fee is $145/50-min session, Couples/Family fee is $170/50-min session. Reduced rate daytime appointments may be available. I work from a cognitive-behaviorial orientation and take a solution-focused approach to help individuals identify inaccurate thoughts and assumptions and change destructive patterns of behavior. In a safe and non-judgemental environment I provide support and practical feedback to help clients effectively address personal life challenges. Integrating complimentary methodologies and techniques, I offer a highly personalized approach tailored to each client. With compassion and understanding, I work with each individual to build on their strengths and help them attain the personal growth they are committed to accomplishing. Some of my areas of expertise in working with individuals and couples are; depression, anxiety, abusive relationships, co-dependency, personal boundaries, self esteem, job performance, anger, separation, communication, intimacy, parenting and affair recovery. I also have extensive experience working with adolescents regarding high risk behavior, family issues, school pressure and emotional management. I provide a comfortable, safe, structured and caring relationship for your adolescent to explore openly, honestly, and without judgement, the struggles and difficulties of growing up in today's society.